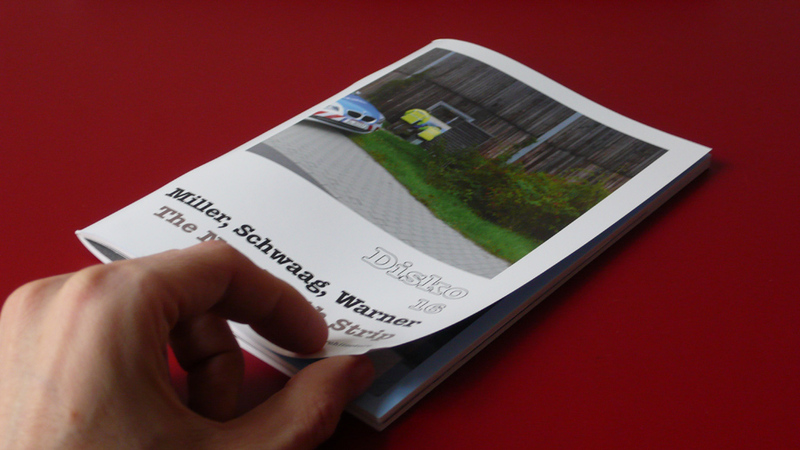 Last July we promised to “doggedly tout” our forthcoming print publication as soon as it is released, so we are now proud to announce the publication of Disko #16, by Daniel Schwaag, Oliver Miller and myself. Disko –Â apparently a contraction of “Diskurskontinuum” – is published in bundles of three or four pamphlets, ranging in size and theme. 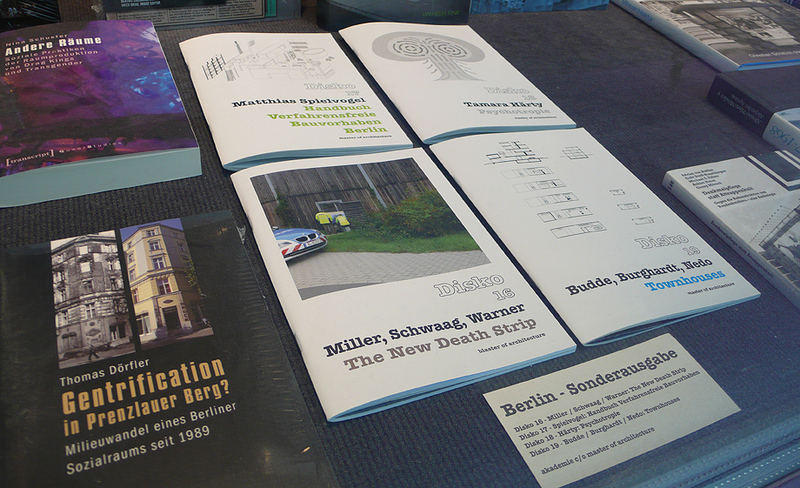 Ours was published as part of a Berlin Special, alongside titles dealing with the city’s recent hemorrhage of townhouses, the psychotropic qualities of domes and a handbook on building without planning permission. The New Death Strip deviated from the standard layout of the other publications by “disguising” itself as part of the series. 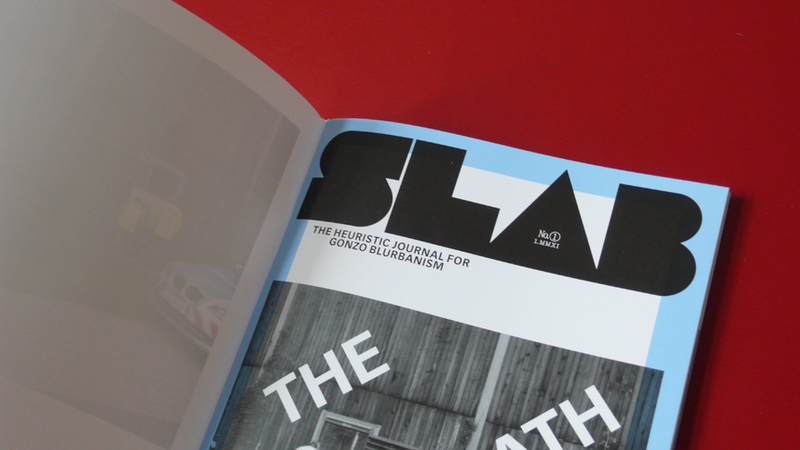 Open the cover, and the reader is confronted with a further cover, branded agressively in the Slab manner. Further info on our New Death Strip page.